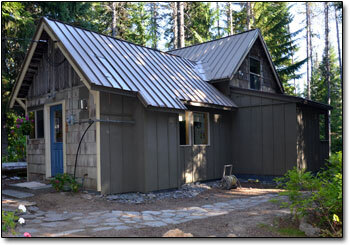 Guests at Summit Meadow Cabins can enjoy the comforts of five cabins, each with different features. Our 3 larger cabins, located near each other, are well suited for families and small groups with oversized living and dining areas, 2 bathrooms (one with a one person jetted tub, one with a/shower) and a washer/dryer. 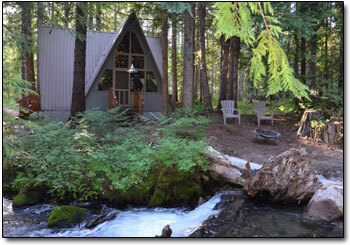 The smaller cabins offer a couple or small group ambiance and privacy. 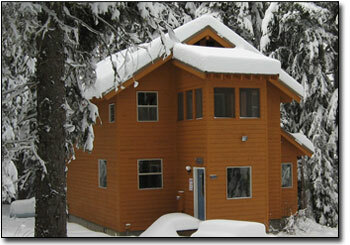 Featuring identical floor plans, the Meadow Chalet has a Mt. Hood view; the Chimney Rock Chalet is on the creek and a bit more private. Enjoy the creek from the deck of the Chimney Rock Aframe. With incredible windows, this secluded cabin overlooks a small creek with a waterfall. Tucked in the woods, our most rustic cabin feels like Grandmother's cottage. and barbecue (summer only). 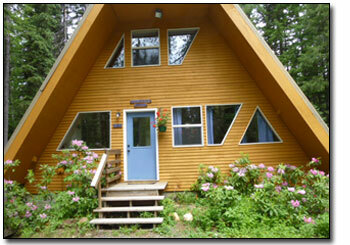 Cabins also have paper products, dish soap, etc as well as bedding and towels. Heat is electric as well as either a wood or propane freestanding stove. 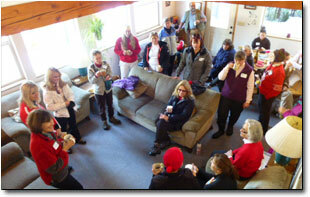 Looking for the ideal setting for your family gathering, wedding, staff or youth retreat, or just a group getaway? 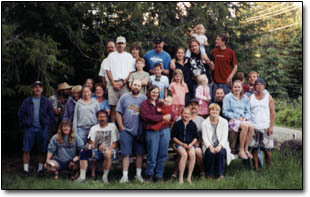 We can accommodate various size groups in several cabins located close to each other which gives folks space and privacy with the opportunity to share common cooking, dining and gathering areas.